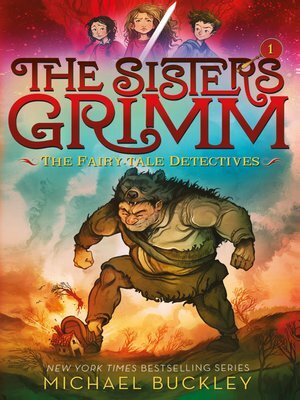 Fans of fractured fairy tales will be delighted to discover the fantasy, mystery, adventure, and humor in the beloved New York Times bestselling Sisters Grimm series by Michael Buckley, now with new cover art. As featured on NBC's The Today Show, the nine wildly popular books are favorites around the world. They were among the first books to bring a distinctly girl-power spin to fairy tales—a spin taken up by hit movies and shows TV such as Once Upon a Time, Grimm, and Maleficent, the bestselling book series The Land of Stories, and other. New covers will appear on book one, The Sisters Grimm: The Fairy-Tale Detectives; book two, The Sisters Grimm: The Unusual Suspects; and book three, The Sisters Grimm: The Problem Child. Books four through nine will be available in revised editions soon. ? "Quirky and reasonable characters, engaging writing, fresh fairy tale references, and a very real fantasy setting." —The Raleigh News and Observer, "Most Promising New Series"